The Tapulanga Foundation is looking for a donor/s to sponsor Colin Bactong. I am Colin Bactong. You can call me Colin. I was born in March, 2005. I live in Purok Swimming Pool, Baranggay Mambulac, Silay City. My father is Christopher and he works as a call center agent. My mother is Josie and she is a Science teacher in St. Francis of Assisi School. My sister Charlize and 2 brothers CJ and Casey are students and scholars in St. Francis of Assisi School. I am the youngest. I wash my slippers and fix my toys. 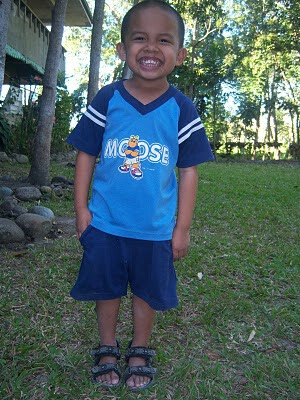 It costs Php7000 or $160 a year to send Colin to school.